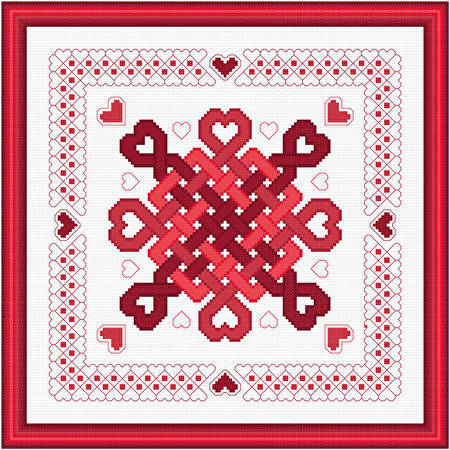 Hearts Abound cross stitch pattern... This Celtic design is surrounded by hearts in reds. The border is like lace with hearts encompassing both edges. Whole and back stitches are used.